The Cambodian province of Sihanoukville is still not a destination for first-tier gaming operators from around the world, despite recently attracting much Chinese capital for creation of hotel complexes, and with some of them possibly to be turned into casino resorts, several industry commentators told GGRAsia. 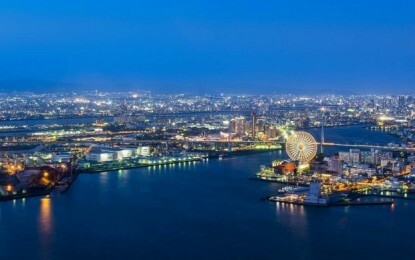 Hong Kong-listed gaming services firms Suncity Group Holdings Ltd announced earlier this month that it had a deal to set up and run a casino in a resort in Sihanoukville, under a partnership with the property’s owner Golden Sun Sky Entertainment Ltd. The latter firm is a subsidiary of China Yunnan Jingcheng Group Co Ltd, a mainland China-based group with a diverse investment portfolio including construction, tourism and aviation. Amax International Holdings Ltd, also a Hong Kong-listed gaming investment firm, has also announced of a deal to provide “technical and pre-opening services” to a casino project in Sihanoukville. But Sihanoukville remains a “risky location” for established gaming investors, remarked Shaun McCamley, partner and head of Asia operations at consultancy firm Global Market Advisors, LLC. “There is no doubt that over the past two years Sihanoukville has had – and we continue to see – what can only be described as an explosive growth in the building and development of hotel casino properties. The developers as well as financing are coming from China which is where the vast majority of visitors to these properties will be coming from,” Mr McCamley said to us in an emailed remark. 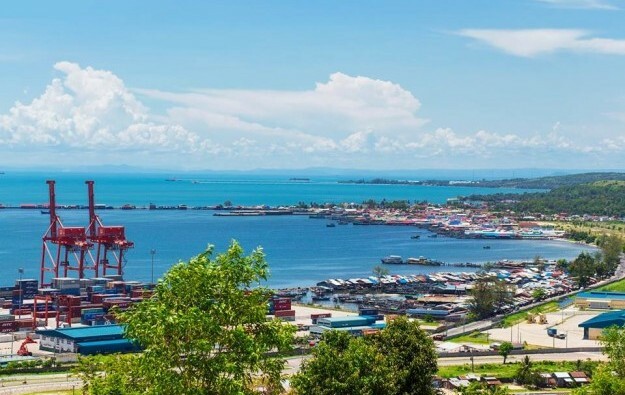 “In the absence of any meaningful legislation and the government departments in place to enforce, Sihanoukville is always going to be a risky option for first [tier] world operators,” Shaun McCamley added. He was referring first to the long-heralded gaming law that is expected to regulate casino business in Cambodia. Currently casino premises are licensed on a case-by-case basis, according to industry observers. Mr McCamley said Sihanoukville province was a market currently catering largely to “middle to low-end” Chinese tourists, and had a growing number of air services from and to the Chinese mainland. Hong Kong-listed Cambodian casino operator NagaCorp Ltd has an exclusive licence to operate casinos in the Cambodian capital Phnom Penh and surroundings, where the properties are collectively branded as NagaWorld Complex. Donaco International Ltd, an Australian operator of casinos in Indochina, is an established name that is known as the operator of the Star Vegas casino in Poipet, located on Cambodia’s frontier with Thailand. “Despite having a large number of casinos already, it [Sihanoukville] does not enjoy a critical mass of quality casinos with which to drive demand. Of course Sihanoukville historically has catered to Internet-based gaming providers and has earned a reputation because of that,” Mr Govertsen added, referring to low-cost gaming operations that stream video online, in real time, live-dealer baccarat games to players offshore. Suncity Group Holdings is chaired by Alvin Chau Cheok Wa, who controls the privately-held junket investor Suncity Group. The Macau junket firm, said by investment analysts to be the largest-single investor in junket room operations in the Macau market, also hosts a VIP gaming club at NagaWorld in Phnom Penh. A draft gaming law prepared for the Cambodian government – and that is due to regulate the country’s gaming businesses – will be a positive for the industry, though the progress of such legislation and when it will be the implemented remain unclear, remarked respectively Mr McCamley and Mr Govertsen. “We view it [regulation] as a big positive for Cambodia in general, as having an appropriate casino law will actually foster investment into the country. To date, that wouldn’t be an option for any gaming operator of significance (other than NagaCorp),” Union Gaming’s Mr Govertsen wrote. He added this was because established operators regulated by jurisdictions such as Nevada in the United States or Macau, would view operating in a jurisdiction “without proper regulatory oversight… a non-starter”.